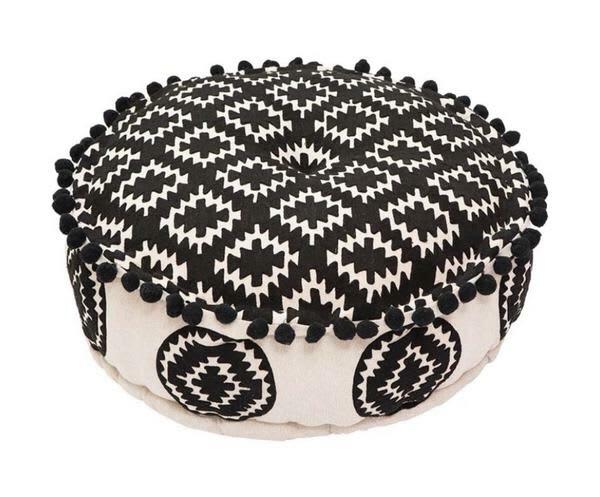 This is a gorgeous South American Aztec inspired pouff. Worked equally well as a footstool, spare seat or table to put a tray on! We love things that are multi purpose!! Black embroidery on a natural background with fun black pom poms around the edge. Home By Tea in Nottingham, United Kingdom.